Enjoy a board game with a cold pint. 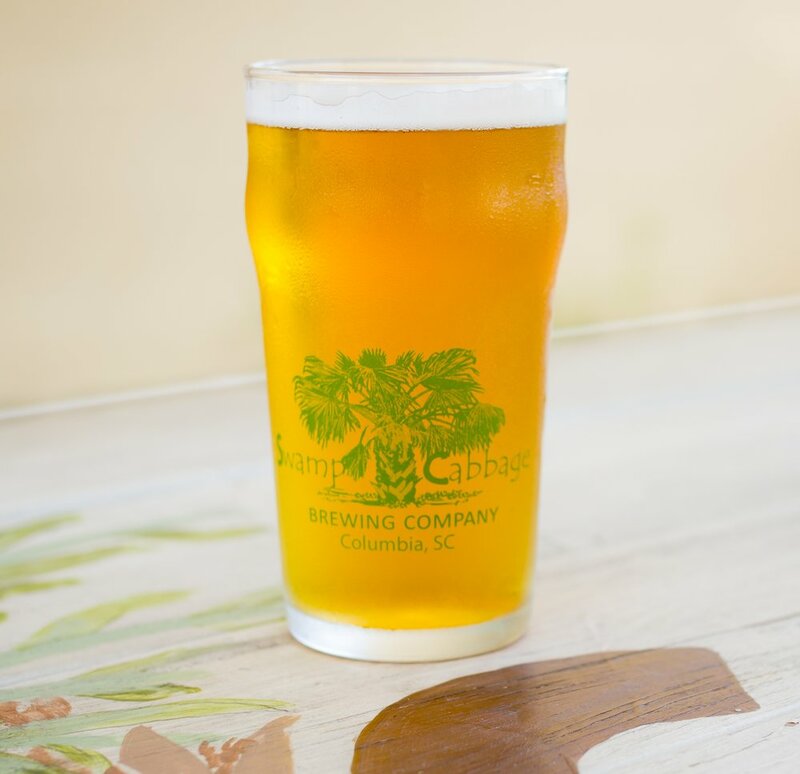 Come visit our taproom located near Williams-Brice Stadium in Columbia, SC. We offer tours, tastings, pints, and growlers. Come join us on the patio or watch the game in our newly remodeled taproom. Enjoy a Flight, or Two. It all looks good right? Try a flight! Come out and see how we brew. There are taps in the back, so you'll never miss a pint. We are a dog friendly brewery. Outdoor seating, bring the party. Enjoy Brunch @ The Brewery with Belgian Waffle Truck. Click on our EVENTS tab for the latest and greatest menu and make your reservation. No matter what pleases your palate, we have what your glass needs. From light to hoppy, crisp to full-bodied - and everything in between - our beers run the gamut and you are bound to find something that satisfies and delights your tastebuds . A slightly nutty version of a classic brown ale with medium traces of chocolate throughout. Smooth... all malt, light on the hops. A blend of Centennial and Chinook hops provide the bitterness, while a heavy dose of Cascade lends a floral aroma. If you're an IPA fan, you'll really enjoy this one. Our Blonde is an easy-drinking and very refreshing light beer with a good flavor that satisfies but doesn't overpower. A little bit of a play on the German style Kölsch beers, it uses sweet subdued fruitiness to balance its light bitterness. Perfect for hot South Carolina summers. This white IPA is brewed with coriander and orange peel for citrus flavors and a not too hoppy finish.. This amber beer exhibits sweetly balanced toasted malt fabrics yet the hoppy characteristics come through in the middle and unveils a mild, light fruitiness at the end. This beer started as an accident. This is our Amber Ale fermented a little longer than normal to achieve a Sour characteristic balanced with the sweetness and spice from cinnamon added while finishing in the Bright Tank. A wonderful Christmas Ale that doesn't last long!